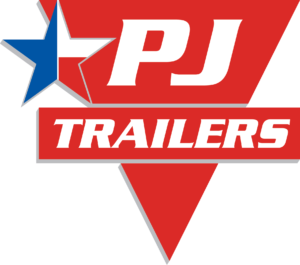 You know all about your trailer, how to load it, and how to safely tow your trailer on the road. One of the next steps of safer towing is to learn about driving your trailer on grades. Although it may seem elementary, let’s first define what a grade is and what makes driving on one important to know. Merriam-Webster defines a grade as “the degree of inclination of a road or slope.” Driving on a grade when towing a trailer is different because there’s added weight, and if you drive too quickly and your cargo isn’t loaded properly, you could end up with a combination disturbance and find yourself in a dangerous situation. Before towing downhill, slow down and shift into a lower gear. Let off the gas pedal to allow the engine to help you control your speed. DON’T ride the brakes on downgrades. Prolonged use of the brakes can result in overheating and even loss of braking ability. If you need to slow down, press the brake pedal and slow down below the speed you intend to go. THEN, let off the brake pedal completely and repeat as necessary. To prevent your tow vehicle from jerking due to engine lugging when traveling uphill, shift into a lower gear. This also helps improve gas mileage and reduce engine overheating. If you are driving up a long or steep grade, shift to a lower gear and be prepared for your vehicle to slow down significantly. If there is a lane designated for slower traffic, use it. Turn on your tow vehicle’s flashers* if your speed drops below 45 miles per hour (MPH) and other traffic is traveling faster than you. *Drivers are advised to check their local laws regarding the use of flashers while towing. Monitor your gauges closely. If the engine temperature starts to increase, turn off the air conditioner until the temperature stabilizes well below the “hot” designation, which could be 45 MPH or less. If the temperature climbs too high, pull off the road to a safe place and stop. Once you have stopped, don’t turn the engine off. Shift to park or neutral and let the engine cool while idling. You can increase the engine RPM slightly to cool faster. Never ride the brakes when towing on a grade, as this can cause them to overheat and become ineffective. This could potentially lead to a runaway tow vehicle and trailer when descending grades. Towing on a grade can be done, but it must be done safely. Be sure to follow all instructions in your owner’s manual, and don’t hesitate to contact us with further questions.